You may think that an apartment doesn’t offer much to children, or to struggling parents. But at the Apartments of Wildewood, we aim to convince you otherwise. Apartments are often seen as places to live for young couples, or college students just starting out. Because of their smaller size and lack of personal ownership, it’s rare to consider apartments places to house entire families. You may think that an apartment doesn’t offer much to children, or to struggling parents. But at the Apartments of Wildewood, we aim to convince you otherwise. Apartments are housing options for everyone and even offer benefits for families that you may not expect. Read on to find out what they are. In our apartments, we offer a 24/7 maintenance crew that will always be willing to help with any issue you may be having. This can be particularly beneficial for families with children, because you’ll be spending far less time worrying about whether or not your kids are safe. You won’t have to cut corners on maintenance costs–you are always covered, and for families tight on cash, this can make a huge difference. And you’ll even form bonds with these maintenance crews. Wildewood’s employees are always friendly and approachable, and will make you feel as comfortable as possible. No issue is too small, or too large for us. We have an on-site fitness center, two pools, a clubhouse, and more options for recreational activity that aren’t available when you purchase a mortgage. Your children will have access to all of these and more–and all within walking distance. In our safe neighborhood, you won’t have to worry about driving them all over town to give them something entertaining to do. Instead, they will constantly have somewhere to go and play, even if that place is something as simple as our playground. Apartments are communities. We are close-knit and welcoming; along with all of our amenities, Wildewood promises that you will have extra time for your family that is free of worry. 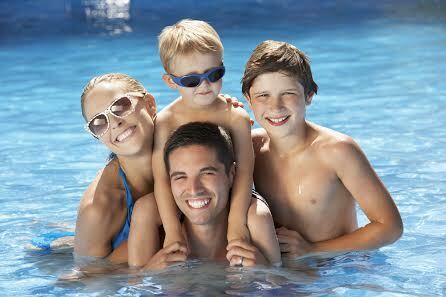 It will be easy for you to accompany your children to all of our recreational areas and join them. And because you have less maintenance worries, you won’t be focusing on your home when you should be focusing on who lives within the home. Interested in moving your family into an apartment? The Apartments of Wildewood are here waiting for you. Apartments of Wildewood offer top-of-the-line apartments for you to choose from. We have so many different floor plans to choose from–that means you get to choose how you want your home to look. Don’t wait. Ourfriendly staff members are waiting for your call. For more about renting with The Apartments of Wildewood, check out our Facebook, Twitter,Pinterest,Google+,orLinkedIn. This entry was posted on Wednesday, June 15th, 2016	at 11:55 am	. Both comments and pings are currently closed.